This cute little flower is they ancestor of the modern Pansy. Many use are found for this plant in popular medicine. 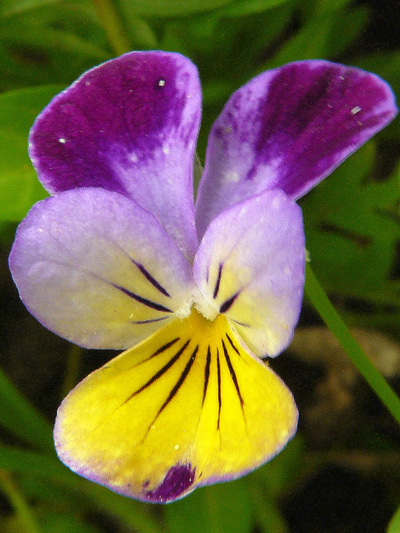 Called Pansy long before the existence of cultivated Pansy. Shakespeare in A Midsummer Night's Dream give to the Johnny-jump-up the power of a strong love potion.